This publication provides an introduction to interior electrical distribution systems for buildings and related infrastructure. Topics covered include transformers, service entrances, switchgear, switchboards, panelboards, motor controls and motor control centers. Learn how to employ stationary batteries and battery chargers. This course is intended for electrical engineers and other design and construction professionals wanting an introduction to the design of interior electrical distribution systems for buildings and related infrastructure. This course will give electrical engineers and others an introduction to the circuitry and electrical equipment found in buildings and related infrastructure. 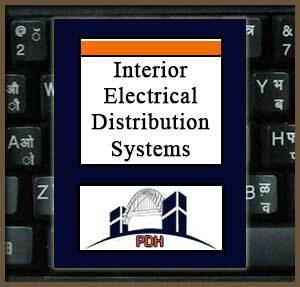 This is an introduction to electrical distribution systems for buildings and other interior infrastructure conditions. This course will give you tools to address electrical distribution systems design for buildings.